I have been enthusiastically riding the Richard Swift train backwards since devouring his 2007 LP, Dressed Up For The Letdown, earlier this year, and catching his live act twice in the past few months. In a word, the guy is exceptional. The past two weeks have found me taking in his 2005 double-album package The Novelist/Walking Without Effort. A stylistic shift from the current release, both The Novelist and Walking Without Effort employ what can only be described as letter-era Damon Albarn styled vocals. As an admitted Blur nut, this is high praise. On this collection, Swift works in a a different direction than that of the atmosphere found on Dressed Up For The Letdown. Here the tracks unfold slower and are less immediate than that of the hook heavy work that opens up track one on Dressed Up. This by no means a criticism, but an observation on the pace, mood and production contrasts between the two. Swift’s music is absolutely one of my favorite discoveries of 2007 thus far. 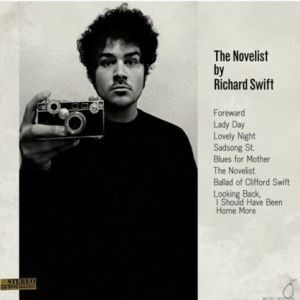 + Download Richard Swift through eMusic’s 25 Free MP3 offer. + Visit The Hype Machine for additional Richard Swift MP3s. Totally agree. He’s one of my discoveries of late too, having picked up this dopuble set on a whim when I visited Canada last year!